Are you looking for an electronic billiards scoreboard for the billiards club or just for the café, at home or at another location where you can play billiards. 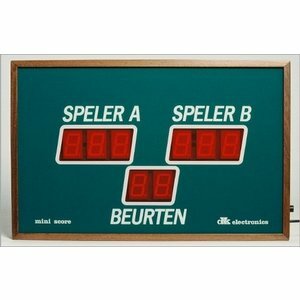 We sell the best quality billiard score boards from Dutch make. 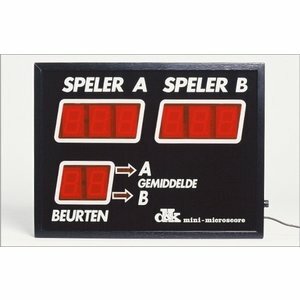 This means you can always fall back on a good guarantee, but also for the repair of the electronic billiard scoreboard. These are available with an infrared or radio remote control. Would you like to see a billiard scoreboard. Feel free to come to our store.